I’m excited to be at the NRF 106th Annual Convention & EXPO—Retail’s BIG Show–here in New York City. We’ll be highlighting Microsoft Dynamics 365 solutions that enable retailers and brands to thrive in today’s competitive environment by combining the best of digital and in-store to deliver personal, seamless, and differentiated customer experiences. 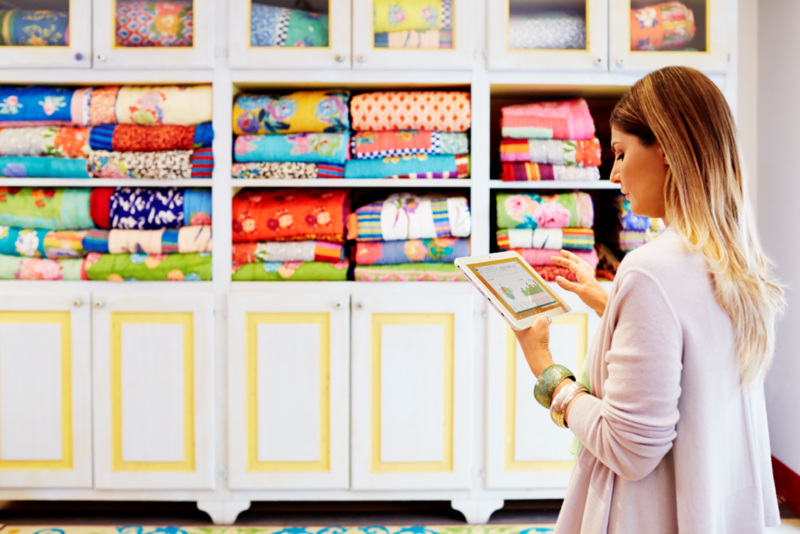 In essence, it’s all about Empowered Retail. Our customer Hickory Farms will also be joining us at booth #2803 to discuss why they selected Dynamics 365 for Operations as their long term growth business solution for over 500 retail stores and kiosks, call centers, customer service, e-commerce, as well as their supply chain and distribution. I’m thrilled to share the retail and commerce capabilities of Microsoft Dynamics 365 for Operations. The solution gives you the tools you need to better manage changing demands and deliver truly amazing experiences to customers. We’re connecting the shopping experience with the things that help consumers move between devices as well as between the online shop and in-store. We can even help with cross-channel scenarios like buying online with in-store pick-up. This state-of-the-art cloud service is architected to leverage the full power of Microsoft Azure. It’s optimized for mobile experiences, which means you can deliver seamless unified commerce across all customer touch points, including store, online, mobile and call centers. 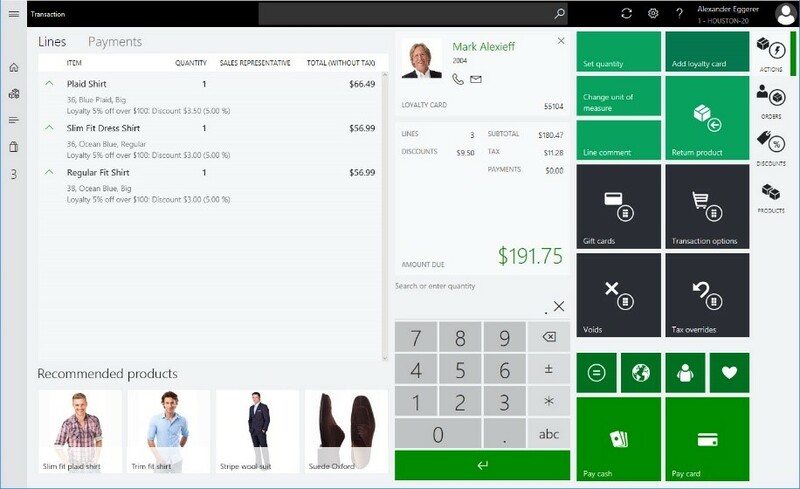 Dynamics 365 for Operations includes the Retail Modern Point-of-Sale app offering a rich clienteling experience that gives sales associates what they need while on the sales floor: product, inventory, customer and other information that helps them provide exceptional customer service. 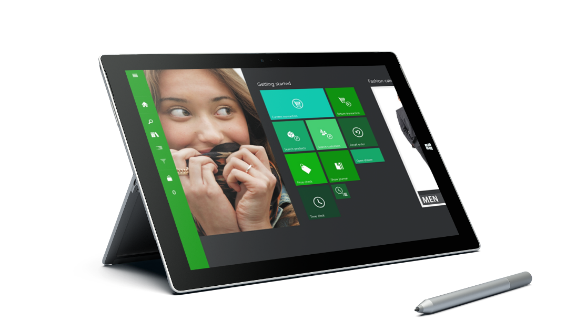 Modern Point-of-Sale is built as a Universal Windows Platform and cross-platform application, which means you can choose the form factor (PC, tablets or phones) and platform (Windows, iOS or Android). This unique architecture even allows the same POS to be accessible via browser (Cloud POS), which can help you minimize deployment and maintenance costs and react quickly to changing business needs. Dynamics 365 for Operations also facilitates smooth e-commerce experiences through knowledgeable partners, some of whom are showcasing here at NRF. While taking advantage of omnichannel catalog, pricing, promotions capabilities you can offer modern, immersive experiences to consumers and deliver simple, fast and intuitive checkout experiences supported by integrated, secure payment processing. We know that consumers use their mobile phones to learn more about the products, read reviews, and get input from friends and family through social media. Now Dynamics 365 for Operations offers the consumer mobile shopping application for iPhone and Android phones, which makes it easy for consumers to complete a purchase, check order status and more. For the call center channel, Dynamics 365 for Operations can fulfill another crucial piece of the unified commerce solution. It allows you to take orders on the phone directly from customers, allowing call center reps to answer status and fulfillment questions quickly and precisely and even make changes or cancel an order. The optimized interface makes order entry faster, provides scripted assistance, and offers assisted selling as well as cross channel fulfilment with ability to process variety of different payments. Dynamics 365 for Operations lets you differentiate prices and promotions by specific channels, product categories, catalogs and time periods. In addition, promotions can be targeted using information from profiles, including affiliations and loyalty tiers. This takes personalized and differentiated shopping experiences to a whole new level! Omnichannel order management in Dynamics 365 for Operations ties in all the pieces and offers support for scenarios like “buy in one store and pick up in another store” as well as hybrid orders that allow line-level fulfillment flexibility. In addition, you get a complete 360-degree view of customers: addresses, preferences, purchase and order history, wish lists, affiliations and more. Retailers can initiate and offer loyalty programs that cut across various products and categories, while providing personalized recommendations powered by Microsoft Cortana Intelligence Suite. Another exciting element of Dynamics 365 for Operations is its powerful analytics and insightful intelligence that allows you to provide amazing experiences for your customers and gain clear competitive edge and flourish in this digital age. To find out more about our capabilities comes see us at Booth #2803 here at the National Retail Federation Big Show!